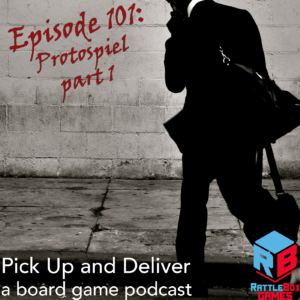 An episode recorded back in September, Brendan shares the first part of his reflection on the Protospiel playtesting event Rattlebox Games attended in September. Tell us about your experiences playtesting, either as a designer or a subject. Pop over to BoardGameGeek guild #3269 and let us know what you think.